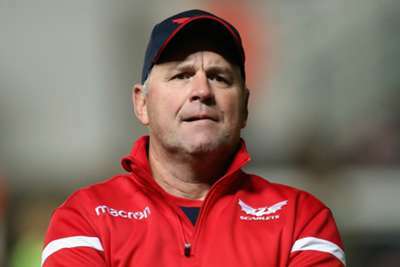 Wayne Pivac is "disappointed" Shaun Edwards suggested he was surplus to requirements with Wales and says there is no chance he will stay on as defence coach. Edwards last year agreed to take over as Wigan Warriors head coach when he finishes his commitments with Wales after the Rugby World Cup. It now appears the Wigan legend may not take up the role with the Super League champions after he stated that he will be "unemployed" following the World Cup, given he has not signed a contract with his hometown club. Edwards said after Wales sealed the Grand Slam on Saturday that he is open to offers, but a role on the Wales staff is out of the question as incoming head coach Pivac is "going in a different direction". Pivac confirmed he has secured a successor to Edwards, but says the Englishman was on the shortlist and the pair held talks. He said: "We have finished the process and we have recruited a defence coach and that will come out in due course, hopefully not too much longer." Wigan and that the timeline that was imposed on us were unrealistic. "I talked around a process we would be going through. That was pre-autumn and pre-Six Nations. Shaun signed with Wigan and that put paid to the discussions going any further. "Shaun knew he was on the shortlist, that he was the incumbent. We'd had a meeting and subsequent conversations. "We are a little bit disappointed that's come out over the weekend but we are certainly not going to let it detract from a great result at the weekend. "It's between Shaun and Wigan. I have no control over that. I only know about the discussions we had way back in August."